Hello! I am so glad you are working toward mental healthiness as I know we are all bombarded with difficulties to maneuver each and every day. Above all, I hope you find the best therapeutic fit for you as you are working through your challenges. Let me tell you about me. 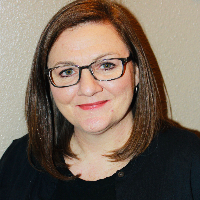 I am a professional clinical counselor licensed in Texas, and I have 10 years of experience working with clients from a variety of backgrounds. I have worked with clients who were struggling with depression, anxiety, family dynamics, career choices, relationship/identity issues, and grief. Perhaps you are feeling down and do not know exactly what to make of your current circumstances; I am particularly interested in helping people become "unstuck." Our lives can be so much more than simply existing. Lets work on what is blocking you together. My counseling style is to move at the pace of the client. I am warm and open and I pay close attention to people, because I believe we flourish when we are known and accepted. Providing professional understanding of what you are experiencing often "unlocks" and encourages clients. I am committed to treating clients with respect and compassion. My counseling approach combines person-centered, psychodynamic, and cognitive-behavioral styles of counseling. However, everyone is unique and I work to tailor the approach to meet specific needs. As a Christian, I can provide counseling regarding faith issues; I am more moderate/liberal than the way I was brought up and if you are navigating what it is like to hold to faith and yet see things differently than others, I am happy to work with you on these issues. It takes courage to address wounds; and it is work to become more self-aware. But I have found that opening ourselves up can be extremely encouraging and bring about the change we hope for. If you are ready to start a new path, let's move ahead. I am happy to partner with you on this journey as you move toward what you hope for in life. Would you like to write a review for Misty Taylor? We'd appreciate if you can spend a couple of minutes to write a short review for Misty Taylor (MA, LPC). This review would be shared with Misty Taylor. It may also be posted in our website or in Misty Taylor's profile but it would be anonymous and your identity would be kept completely confidential.